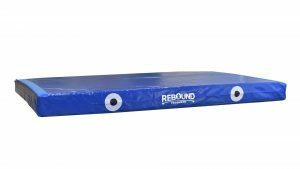 Rebound Non-Fold Trampolines | Rebound Products Inc. 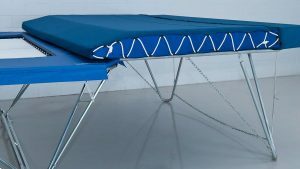 The Rebound 7×14 non-folding trampoline is the first and only non-fold frame with the bounce of a competition trampoline. This is done by having the same inner dimensions and the same legs as a folding trampoline. 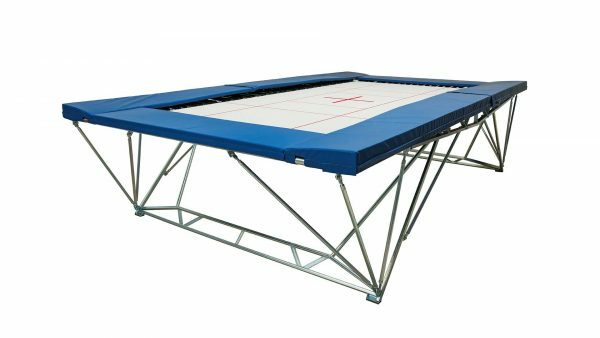 This gives it the bounce action of a competition trampoline with contact to the floor at only 4 points and the complete adjustability to level it. 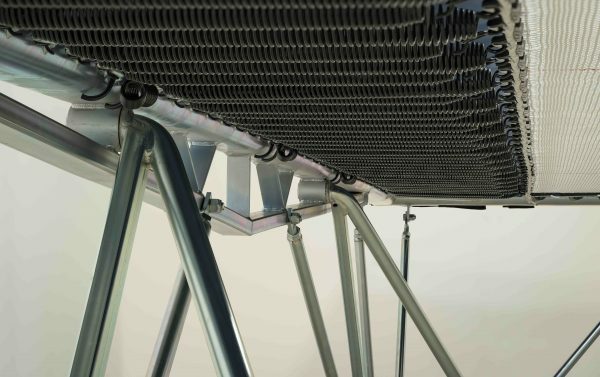 Due to the larger profile top frame, and the lack of hinges and chains* this frame is actually a more stable bounce platform than any folding frame! 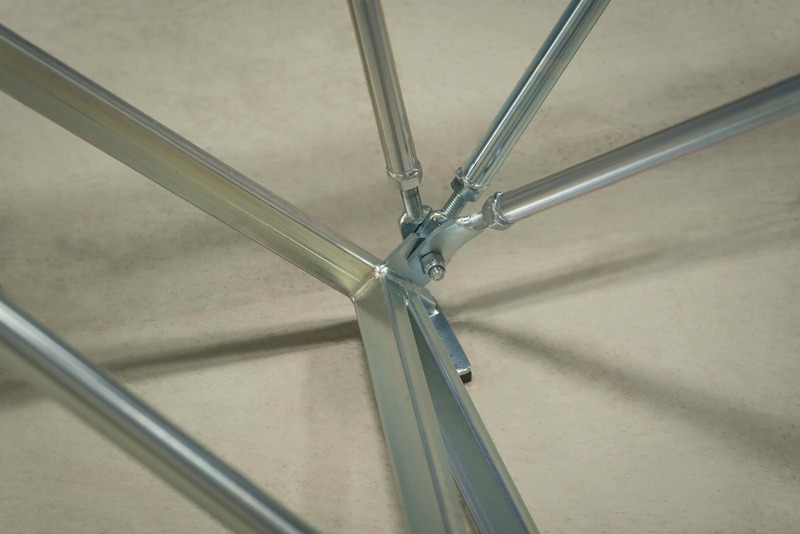 As the intended use of this frame is for in-ground use at permanent gyms, the corners are square to make them easy to deck around and the frame pads are 3” thick. All of this and they are lower priced than folding frames! 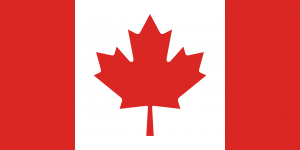 Made in Canada at our factory. * Tired of your trampoline walking around the gym? * Tired of pulling out the legs every time someone lands at the end of the frame? – Tired of watching your floor protectors slide on a slippery floor. ALL of those problems have been solved by our non-folding frame! 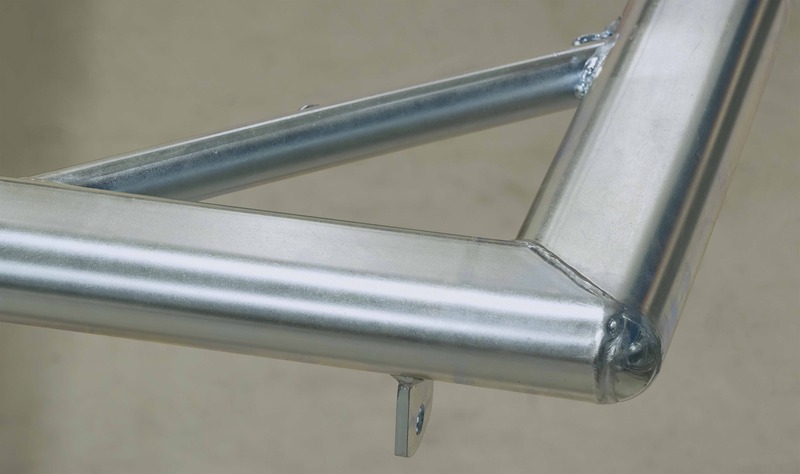 The frame features our solid rod (more numerous -16!) 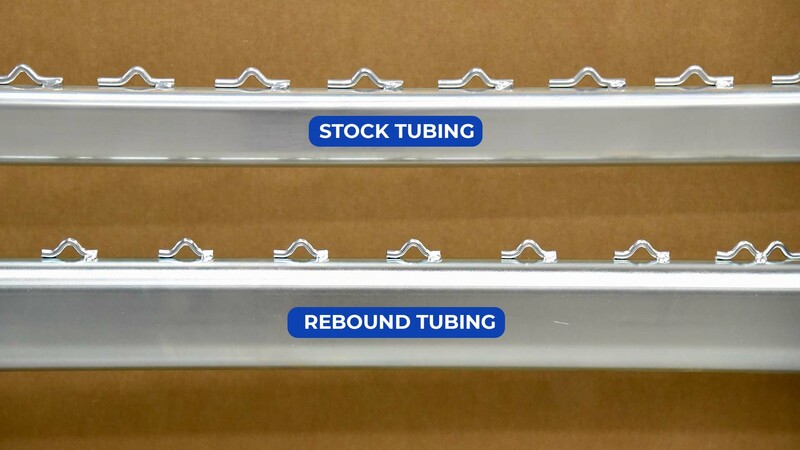 dual reverse threaded adjustable braces. 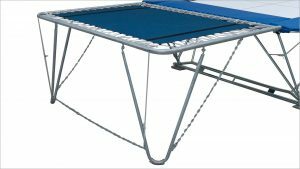 Our 6 x12 non-folding trampoline is a similar design made for the smaller bed. 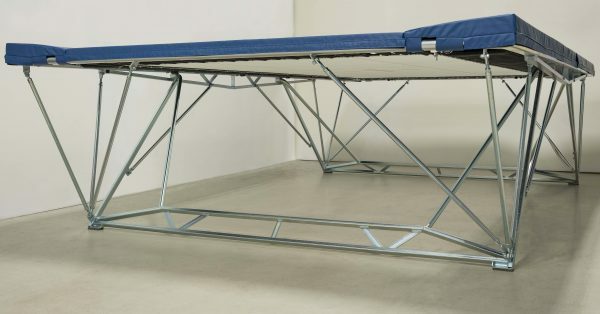 Both models can be made with wider frames and side frame pads, (which includes ropes between the bed and the springs) to further improve the bounce. Trampoline frame and components made for each other. “Rebound Product's non-folding frame is by far the best product I've ever used in my gym! They are incomparably robust and stable! Combined with Rebound's beds, the result is a marvel of power and stability."